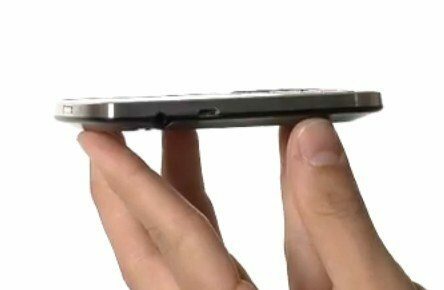 If your favoured US carrier is the Big Red and you have been holding on for any word on if the BlackBerry Bold 9930 smartphone will be eventually hitting the carrier, it appear that Verizon has actually inadvertently confirmed they will be gaining the smartphone at some point in the future by posting a demo video of the RIM handset. The video footage of the BlackBerry Bold 9930 comes our way courtesy of the guys over at Crackberry, who say that if you hit up the Verizon website then click on shop and go to the BlackBerry Bold 9530 page and click on videos you actually get a walkthrough of the BlackBerry Bold 9930. But of course we have that video for your viewing pleasure below so you don’t have to go through all that rigmarole, and the footage delivers a two and a half minute demonstration of the BlackBerry OS 7 smartphone. In said video, Blake of Verizon opens the video saying, “This is the BlackBerry Bold 9930, available from Verizon Wireless,” so for all intents and purposes basically the video does indeed confirm that the BlackBerry Bold 9930 will be coming to the Big Red. According to the footage, the BlackBerry Bold 9930 is the thinnest BlackBerry handset available and features a sleek new design with a bigger QWERTY keyboard than previous BlackBerry handsets along with a 2.8-inch touch screen with liquid graphics. Spec wise the BlackBerry Bold 9930 offers apart from that touch screen and QWERTY keyboard, a5 megapixel auto-focus camera with LED flash and 720p video, 1.2 GHz processor, WiFi, Hotspot capability, Bluetooth, voice activated universal search, 3.5mm jack, 8GB internal storage, and microSD expansion up to 32GB. The BlackBerry Bold 9930 also comes sporting the new BlackBerry Messenger 6 client for easier chatting and instant messaging and of course personal and corporate email. Unfortunately the only information not available in the video is just when Verizon is likely to make the BlackBerry Bold 9930 available and of course just how much the smartphone will hit your pocket for, but no doubt that will all become official when the Big Red is ready to do so. So all you need do now it head on down and hit that play button to check out the walkthrough of the Blackberry Bold 9930 and feel free to let us know if you are planning on purchasing the devie by posting to our comments are below…enjoy. yes, my storm needs an upgrade..